Perhaps one of the most confusing aspects of consumer credit is that everything is pretty much a case of “your mileage may vary.” Even if two consumers with similar credit profiles and income levels apply for the same credit card, each applicant could receive a different response. In the end, getting a credit card will depend on all of your qualifications — not just your credit score. That said, most cards target a specific range of credit scores, and while these ranges aren’t set in stone, they can be a good way to narrow down your options. 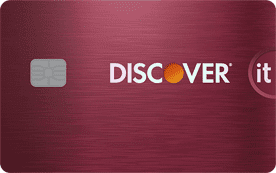 As with any credit product, of course, the better your credit, the better your chances of being approved for any given credit card. Both common credit scoring models — FICO Score 8 and VantageScore 3.0 — operate on a range from 300 up to 850, with 850 being the best possible credit score. Consumers with credit scores in the 800 to 850 range have made it to the top of the credit score food chain. These consumers typically have several years worth of positive payment history across multiple accounts, low utilization rates, and diverse credit profiles that show they can responsibly handle any kind of credit. With an excellent credit score, you’ll likely have your pick of nearly any credit card on the market — excluding the fancy invite-only cards — and you’ll usually be offered the lowest interest rates and the highest credit limits. Indeed, with a credit score of 800 or higher, your biggest problem will be deciding which card to get from the hundreds of options. With so many options open to you, it’s important to take the time to determine what you really want out of a new credit card. If you don’t eat out very often, then a dining rewards card may not be the best fit. Excellent credit means you have tons of options, so take the time to find the card that really works best for your lifestyle and spending habits. While not at the front of the pack, consumers with credit scores between 740 and 799 are still doing quite well in the credit game. These consumers have at least a couple of years of credit history, no missed debt payments (for at least the last few years), low credit card balances, and multiple accounts showing responsible use. Even though your 740 to 799 credit score can still increase over time, you don’t really need to worry about your credit scores being the thing that holds you back from most credit cards. 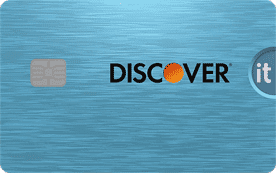 Everything from top-tier travel rewards cards to fee-free cash back cards are available with a credit score in your range. Your credit score may not stop you from being approved, but you should also keep in mind that credit card issuers take more than your credit scores into consideration when evaluating your application. Everything from how many new cards you’ve opened in the last few years to your previous history with the bank can impact your ability to get approved for a new credit card. The average FICO credit score in the U.S. is 704, which falls roughly in the middle of the “Good” credit score range. These consumers have generally positive credit histories with no recent missed payments. They may have short or limited credit histories and/or have higher-than-average credit utilization that prevents them from reaching the next credit score range. If your credit scores are between 670 and 739, you are generally considered to have good or average credit. 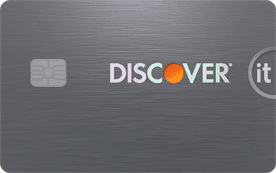 You’ll typically qualify for most prime credit cards, including the majority of no-annual-fee rewards cards and even some of the top-tier cards, depending on your specific credit profile. If you think you’re on the approval fence for a certain card, you can often check for pre-qualification through the issuer’s website. Pre-qualifying for a card doesn’t guarantee you’ll get approved — it doesn’t usually take into account things like 5/24 limits or income — but not being pre-approved may mean you should try another card. Although it’s certainly possible to reach a perfect credit score, none of us start out that way. Instead, many of us will spend at least some of our credit-building time in the 580 to 669 range due to limited credit. And, unfortunately, some of us will also wind up back in that range due to delinquent payments, defaulted accounts, and/or high credit balances. With credit scores in the 580 to 669 range, most issuers aren’t going to be as quick to trust you with their top cards. Instead, you’ll be looking mostly at cards that either charge you for perks and rewards, or issuers that don’t charge you because there aren’t any perks or rewards. The choice between a card with rewards that charges an annual fee, and a card with no rewards but no fee, will generally come down to the math and your personal spending habits. 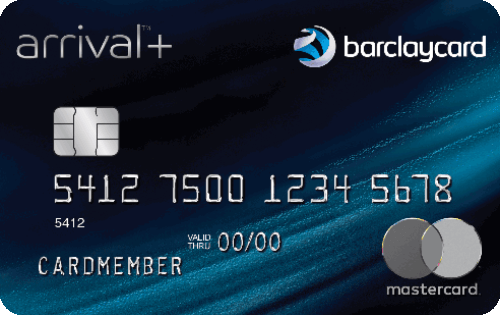 Basically, if you’ll spend enough on the rewards card to earn more than the annual fee, then it could be a good value. However, if you won’t earn enough in cash back or points to at least cover the annual fee, it may be the wrong pick. The bottom of the credit score totem pole, scores below 580 represent individuals with the highest levels of credit risk. These consumers tend to have recent delinquent payments, defaulted accounts, and high credit utilization rates that make them a risky investment for lenders and credit card issuers. When your credit score drops below the 580 mark, your options start to narrow down dramatically. For the most part, you’ll have the choice of expensive subprime unsecured credit cards with high fees, or secured credit cards that require a refundable cash deposit to open and maintain. Although it can seem like the lesser evil to pay a few fees for an unsecured credit card, secured cards can be the much more affordable choice in the long run. This is thanks to the fact that secured card deposits are fully refundable (so long as you close your account in good standing), and secured cards tend to charge much lower rates and fees and/or offer perks like purchase rewards. Everyone has to start building credit somewhere — and credit card issuers want to be that “somewhere.” In other words, you don’t actually need an existing credit score to get a credit card when you’re careful about which card you select. In fact, when chosen and used wisely, credit cards can be one of the most affordable ways to establish and build your credit score. If you’re a student and need to build credit, student credit cards are an easy go-to; of course, you have to be an actual student enrolled in a college or university to qualify for most student cards. If you’re not a student, then you’ll want to look into either a secured credit card or a basic unsecured starter card. When it comes to consumer credit, having no credit score is usually considered to be better than having a bad credit score. Be sure to use your new credit card responsibly, including following the most important rule: always, always, always pay your credit card bill on time. Who Is Eligible for a Credit Score? Your credit scores are based on the information in your credit reports, which means anyone who can qualify for a consumer credit report is generally eligible for a consumer credit score from the major scoring agencies (FICO and VantageScore). However, this also means that if you don’t have a credit history to report, you won’t have any credit scores, either. Once you’ve opened a credit account that reports your payment history to the credit bureaus, you’ll start becoming eligible for credit scoring. The amount of credit history you need for a score to be calculated will depend on the model; you can get a VantageScore shortly after your first credit account starts reporting to the bureaus, while a FICO credit score requires at least six months of reporting history. The key is that your payment history needs to be reported to the bureaus. Without reported history, the scoring algorithms won’t have data to use. Similarly, if you stop using your credit accounts for more than six months, the lack of recent data can cause you to be ineligible for a credit score. Something that has long caused confusion in the credit scoring world is the fact that you don’t have just one credit score. In fact, you can have dozens of credit scores from just the most common providers. For example, consider the most common scoring provider, FICO. Each consumer can have more than 25 different FICO credit scores depending on the credit bureau used to source the data and the nature of the company requesting the credit score (auto lender vs. credit card issuer, etc.). 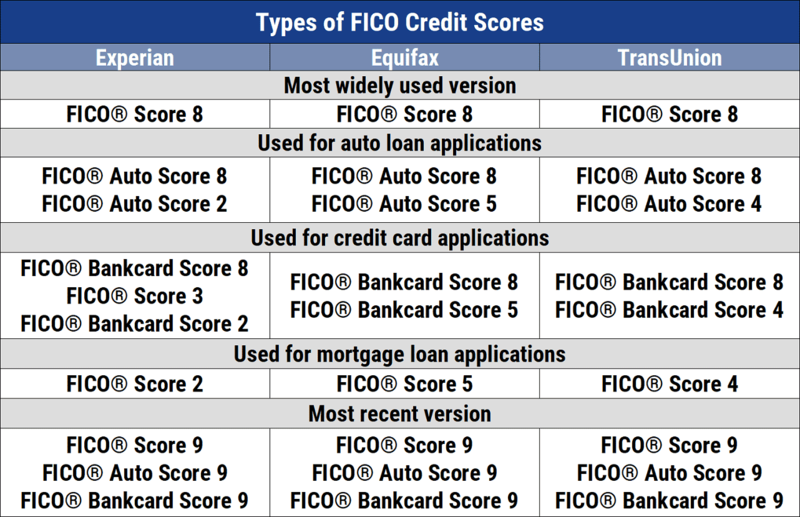 The FICO Score 8 is the most commonly used score not associated with a specific industry. And new scoring models are being developed all the time. The VantageScore model — which is frequently used by sites and companies that provide “educational” or free credit scores — was recently updated from the VantageScore 2.0 model to the VantageScore 3.0 model, and while many users made the switch, you may still run into either score. Additionally, many big banks and lenders will typically use credit bureau data and their own internal scoring models when evaluating applicants. This means you can essentially have an unlimited number of credit scores, the majority of which you will likely never see. Can You Get Your Credit Scores for Free? One of the best things about credit scores — from the consumer standpoint — is that they can be a really convenient way to keep an eye on your credit profile. While you can check your credit reports for free each year through AnnualCreditReport.com, you typically have to pay for additional copies throughout the year. However, your scores are directly based on your credit reports, so any major changes to your reports — new accounts, closed accounts, high debt levels — will have a pretty immediate impact to your credit scores. As such, you can track your credit scores each month and watch for any warning signs; major changes to your credit scores are usually a sign that something has changed on your credit reports. You can also get a free monthly updated credit score through most of the credit card accounts offered by major banks, as well as a number of smaller and regional banks. Even some credit unions may offer you free credit score tracking for having a credit card account. The credit scoring model and credit bureau data sourced to generate your free credit score will vary based on the source of the score. Many free credit scores are based on the VantageScore 3.0 model, as it is inexpensive to provide. However, many of the free scores provided through credit card accounts will be genuine FICO credit scores. No matter which credit scores you check, it’s important to realize that they are all based on the same thing: your credit report data. So, as long as your credit reports show a positive payment history and low debt levels, your credit scores should reflect your good credit, regardless of how they’re calculated. Each credit scoring model may look at the various aspects of credit risk differently, with some favoring longer credit histories while others are more concerned about how much debt you carry. But, in general, the way to increase your credit scores is to simply practice good credit habits — and to do so over years. 35% — Payment History: Any debt payments that are more than 30 days late can be reported as delinquent to the bureaus and really hurt your credit score. Always pay on time to avoid damaging this factor. 30% — Amounts Owed / Utilization: This factor considers how much debt you have and how it is distributed. This includes your credit card utilization rate, which is the ratio of how much revolving credit you are using over your total available revolving credit. 15% — Credit History Length / Account Age: Lenders like experienced credit users, so a long credit history can help boost your credit scores. Models look at both the overall age of your credit profile — your oldest account — plus the average age of all of your credit accounts. 10% — Credit Mix: A diverse credit profile shows that you can handle different types of credit; a good credit mix would involve a variety of revolving and installment credit types. 10% — New Credit: This is the factor that looks at how many new accounts you’ve opened — or attempted to open — in the last few years. Any hard inquiries you have on your reports will be included here. Although you can actively work to improve and maintain several of the factors that go into your credit score — only you can prevent late payments — others can only be improved over time. For example, no matter what you do, you can’t make your credit history longer. Similarly, some factors you shouldn’t try to rush just to boost your score, as it’s likely to backfire. A diverse mix of credit types, for instance, will often happen naturally over time as you do things like buy a vehicle or a house. Opening a bunch of credit accounts at a time in an attempt to improve your credit mix can actually hurt other factors of y our score, like your average account age. While your ability to get a credit card can be impacted by any number of things — including your income and your history with the bank — your credit score will be the primary factor in determining which credit cards you can add to your wallet. The better your score, the better the cards (and rates and fees) you can get. However, building good credit is a slow process that takes at least a couple of years. And, if your goal is to reach the highest credit score tier, you’re likely looking at five years or more of perfect credit use. In other words? Buckle in and enjoy the credit-building ride.